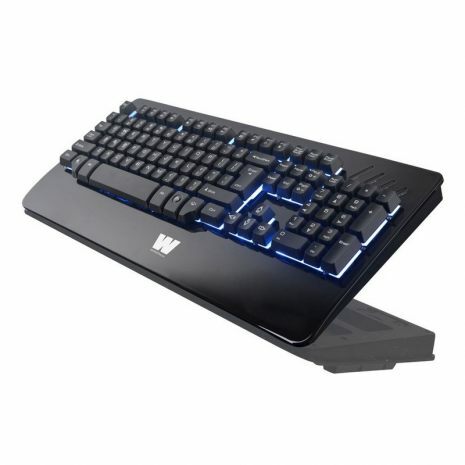 The WASDkeys K300 is the ideal gaming keyboard for fast paced FPS, RTS, RPG and MMO gaming. The full feature set of this master piece of design secures your competitive gaming advantage. You will rock every LAN and every combat situation with it. You are simply 'Unfair Equipped!'. Plus, the integrated special designed hand-wrist makes sure, you never lose control of your game. To secure that your moves turn into successful actions in the game, we have equipped this powerful beast with a full-speed USB plug, that delivers 8-times higher transmission rate than conventional USB plugs. We also added 'Anti-Ghosting' function, so even under hardest conditions you can stay cool under pressure. 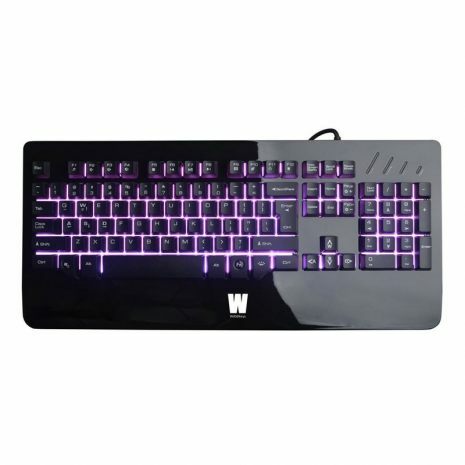 A true highlight is its virtual mechanical keys, which brings most of the advantages of a traditional mechanical keyboard like fast key strokes and extensive lifetime (50 mio. key strokes); but at a very affordable cost. To complete the extensive feature set of this highly ergonomic gaming weapon, we have added backlit illumination effects with a glossy piano black finish; which adds an stylish look leaving your opponents mesmerised.